Sign up here by creating an account and choosing your newsletter options. It is rare to find a book that offers unique and inspiring content on every page. How to Create a Mind achieves that and more. Ray has a way of tackling seemingly overwhelming challenges with an army of reason, in the end convincing the reader that it is within our reach to create nonbiological intelligence that will soar past our own. This is a visionary work that is also accessible and entertaining." President of MIT, MIT Maseeh Professor of Emerging Technology, former MIT Provost, former department head of the Department of Electrical Engineering and Computer Science (EECS), MIT’s largest academic department. Kurzweil’s new book on the mind is magnificent, timely, and solidly argued!! His best so far!" MIT Toshiba Professor of Media Arts and Sciences, Cofounder of the MIT Artificial Intelligence Lab, widely regarded as the "father of artificial intelligence." If you have ever wondered about how your mind works, read this book. 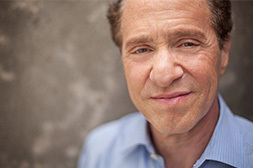 Kurzweil’s insights reveal key secrets underlying human thought and our ability to recreate it. This is an eloquent and thought-provoking work." Physicist and inventor of the first wearable insulin pump, the HomeChoice portable dialysis machine, and the IBOT mobility system, and founder of FIRST; recipient of the National Medal of Technology. One of the eminent AI pioneers, Ray Kurzweil, has created a new book to explain the true nature of intelligence, both biological and non-biological. The book describes the human brain as a machine that can understand hierarchical concepts ranging from the form of a chair to the nature of humor. His important insights emphasize the key role of learning both in the brain and AI. He provides a credible roadmap for achieving the goal of super human intelligence which will be necessary to solve the grand challenges of humanity." Founding director, Robotics Institute, Carnegie Mellon University, recipient of the Turing Award from the Association for Computing Machinery. …Ray's new book is a clear and compelling overview of the progress, especially in learning, that is enabling this revolution in the technologies of intelligence. It also offers important insights into a future in which we will begin solving what I believe is the greatest problem in science and technology today: the problem of how the brain works and of how it generates intelligence." Eugene McDermott Prof. in the MIT Department of Brain & Cognitive Sciences, director of the MIT Center for Biological & Computational Learning, former Chair MIT McGovern Institute for Brain Research, one of the most cited neuroscientists in the world. This book is a Rosetta Stone for the mystery of human thought. Even more remarkably , it is a blueprint for creating artificial consciousness that is as persuasive and emotional as our own. Kurzweil deals with the subject of consciousness better than anyone from Blackmore to Dennett. His persuasive thought experiment is of Einstein quality: it forces recognition of the truth." Chairman & CEO of United Therapeutics and Creator of Sirius XM Satellite Radio. Kurzweil’s book is a shining example of his prodigious ability to synthesize ideas from disparate domains and explain them to readers in simple, elegant language. Just like Chanute’s Progress in Flying Machines ushered in the era of aviation over a century ago, this book is the harbinger of the coming revolution in artificial intelligence that will fulfill Kurzweil’s own prophecies about it." AI scientist, pioneer of hierarchical models of the neocortex, Co-Founder of Numenta and Vicarious Systems. Ray Kurzweil’s understanding of the Brain and Artificial Intelligence will dramatically impact every aspect of our lives, every industry on Earth and how we think about our future. If you care about any of these READ this book!" Chairman/CEO, X PRIZE, Executive Chairman, Singularity University, Author, New York Times Best Seller, Abundance – The Future Is Better Than You Think. Happy Endings Film Fest | “Ray Kurzweil and the Singularity” is a brilliant animation short by Lew Keilar and was a 2012 Happy Endings FilmFest finalist. This is a whiteboard animation explaining, in three minutes, the Technological Singularity concept made famous by Vernor Vinge, Ray Kurzweil, and other futurists. 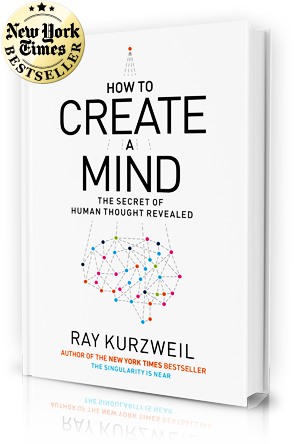 Singularity Hub's Keith Kleiner interviews Ray Kurzweil about his new book, How to Create a Mind: The Secret of Human Thought Revealed. For the full version, become a member on Singularity Hub! Ray Kurzweil: How Do You Define Intelligence? Inventor and Futurist Ray Kurzweil speaks after a screening of the film Transcendant Man at the 2009 AFI Fest Presented by Audi.